Royal Thai Army is ready to receive VT-4 tanks. The MLRS in the background is DTI-2, which is a local version of SR-4. Broccoli, perfume, SteelBird and 6 others like this. The Thai government recently approved US $ 58 million on Tuesday for the additional acquisition of ten Chinese VT-4 tanks . "These battle tanks will be used to replace the US M41s, which are both small and obsolete," says Sanserv Kaewkamnerd, spokesman for the Thai Cabinet. 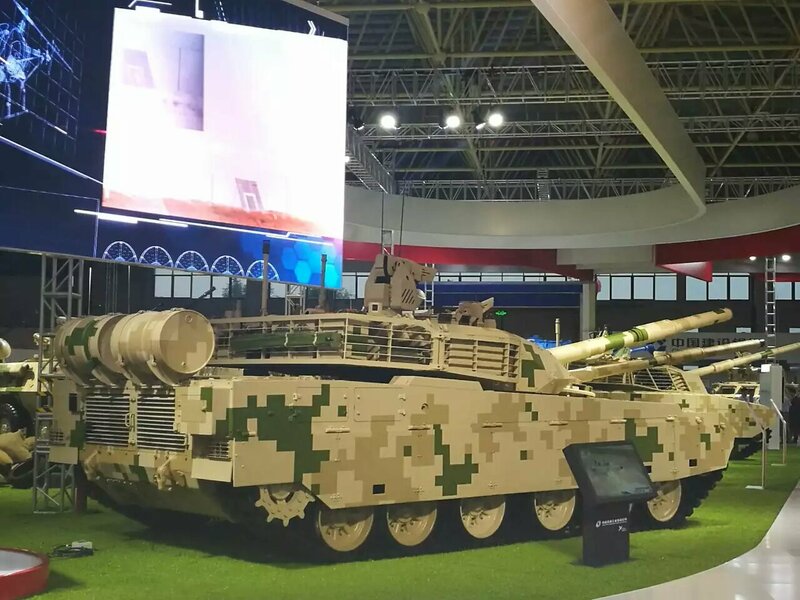 This is a second batch of the VT-4 tank bought by Thailand, in addition to the 28 Chinese tanks of the same model ordered in 2016. The Thai army signed a contract of 49 T-84 tanks with the Ukraine in 2011, but only about 20 were delivered. This situation forced the country to re-launch a new call for tenders afterwards. The VT-4 tank at the last Zhuhai Air Show. According to some analysts, Thailand, which is the oldest ally of the United States in Southeast Asia, is gradually approaching China in many economic as well as military fields. In July 2015, the Royal Thai Navy confirmed the purchase of three Chinese S26T submarines for an amount of US $ 1.06 billion. A first part of the budget, US $ 380 million, is allocated by the Thai Cabinet in January this year for the first building. The S26T will be equipped with AIP propulsion with a range of 21 days under water. The Chinese group CSIC offers 2 years warranty with 8 years of maintenance and parts, as well as 3 years of training of the Thai crews with the transfer of certain technologies. France, Germany, Russia and South Korea also participated in this call for tenders in Thailand, proposing Scorpene , Type 209 , Project 636 Varshavyanka ("Kilo" in NATO code) and DW -1400T (derived from the German Type 209). Apart from the S26T submarine, the Thai army also acquires numerous Chinese military equipment, such as the 8 × 8 VN-1 armored infantry vehicle , the KS-1C anti-aircraft system (see our " Thailand buys a Chinese SAM battery KS-1C "), or the LRMS WS-1B . 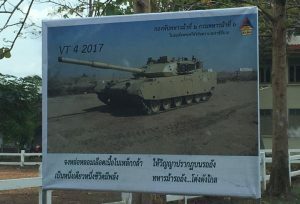 A sign on the VT-5 in Thailand. As for the VT-4, it is a 51-ton heavy battle tank that the NORINCO Group develops exclusively for the export market. The Chinese tank dedicated to export takes over the power pack of ZTZ -99A , another Chinese heavy tank but is used by the Chinese Army. Given its lower weight, the power of the VT-4 is degraded from 1,500 hp to 1,200 hp, but with extended service life. The engine also uses an automatic gearbox with two-way torque converter, ensuring a road speed of 71 km / h.
The precise data on the VT-4 composite shielding is not available at this time. 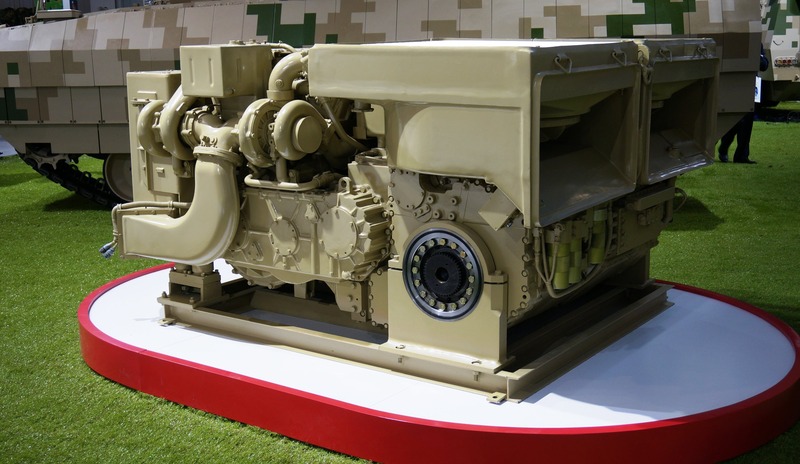 But if one believes in the interview of a chief engineer of the NORINCO group, the Chinese tank could withstand the 120 mm caliber 44-pin APFSDS. The VT-4 is also equipped with a Hunter-Killer fire control system, as well as a 125 mm smooth-bore barrel and a remote-controlled turret. The tank commander also has his own independent viewfinder. The Thai army believes that it needs 150 more tanks, so it will be interesting to see what feedback the VT-4 battle tank has received in a rather tropical environment, and whether there will be other Orders after the 28 + 10 copies delivered. Equation, Broccoli, perfume and 8 others like this. 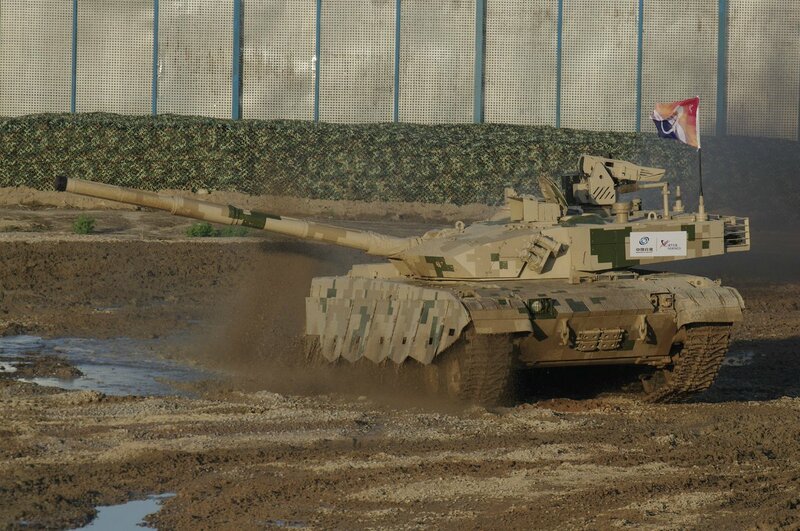 Bangladesh displayed Type-59G "Durjoy" tank to the public. 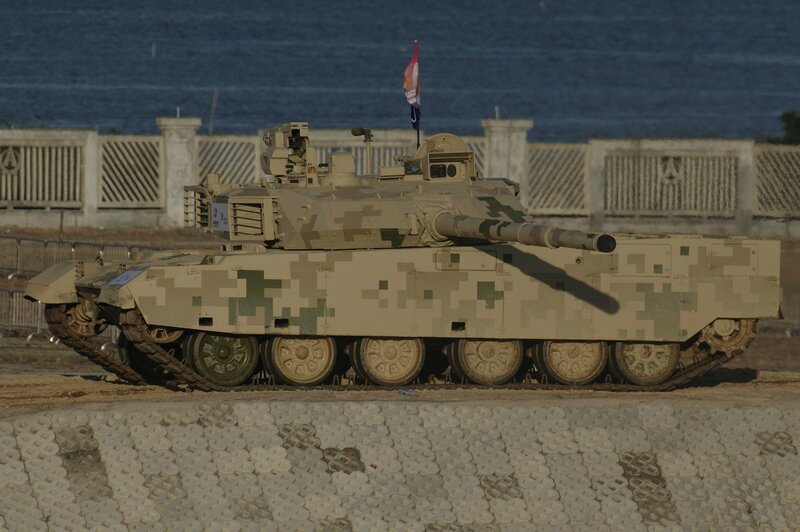 The tanks were upgraded with Chinese kit which includes 125mm smoothbore gun (autoloader+rounds carrying reduced to 28), 730hp engine, fire control and communication system, ERA (+composite armour?) on turret and hull front. The number of tanks received such upgrade is about 180. Not as stated in Wikipedia, the displayed Type-59G tank doesn't have new Type-96 turret and ERA on side skirt. antiterror13, Equation, SteelBird and 3 others like this. S26T submarine bidding document of CSOC, it basically says 3 boats and the training of 4 crews will cost 36billion Thai Bahts. Weapon, spare parts etc. cost extra. Shouldn't the document still be confidential? SteelBird, N00813, perfume and 1 other person like this. Probably the military government wants to keep its nose clean. Any pictures of how they managed to fit autloader inside Type-59G? On April 11, China officially handed a 600-ton patrol ship over to Pakistan's maritime safety authority in Guangzhou, Guangdong province. Among other things, the ship will be used to safeguard Pakistan's maritime interests. Pakistan's maritime safety authority expressed great appreciation for the quality of the ships and for sound cooperation with Chinese ship manufactures, who have promised to provide after-sale services. The ships are key to consolidating China-Pakistan relations, protecting Pakistan's sea transportation and pushing forward the China-Pakistan Economic Corridor and Belt and Road Initiative. Egyptian Wing Loongs in action. perfume, Hendrik_2000, mr.bean and 3 others like this.
" Get 3 for the price of 2"
Thailand's government has approved the purchase of its first submarine in more than half a century, the country's top defense official said Tuesday, calling the $393 million deal with China necessary and a bargain. Defense Minister Prawit Wongsuwan said the navy's purchase of a Yuan Class S26T submarine would be conducted transparently, responding to concerns about corruption. He said the vessel would be delivered in five to six years. Thailand's navy has been seeking to buy submarines for almost a decade, having decommissioned its last one in 1951. The military government had said it also considered buying the vessels from Germany or South Korea, but last year announced plans to buy three from China at a total price of around $1 billion. The purchase won the final go-ahead only after Thailand's military seized power in a May 2014 coup, even though a $15 million submarine base and training center was inaugurated shortly afterward, in July 2014. The purchase of such a major weapons system from China has political as well as defense ramifications because the ruling junta has sought closer relations with China to balance traditional ties with the United States, which has been critical of Thailand's turn away from democracy. It will take about 11 years for all three submarines to be acquired, said Prawit, who is also deputy prime minister. It was not clear, however, whether agreements have been finalized for the purchase of the second and third submarines. Government spokesman Sansern Kaewkumnerd on Monday said details of further purchases were the navy's business and would not be publicly announced as they involve security matters. Sansern said there was nothing shady about the deal, which drew attention because it was approved at the previous week's Cabinet meeting without being announced. "The submarine we are buying is not expensive and it will be very useful in the Andaman Sea in a 200-mile radius area that we've never explored," Prawit said. Prime Minister Prayuth Chan-ocha said last month that China had offered the cheapest deal, amounting to a "buy-two, get-three" bargain. bluewater2012, t2contra and N00813 like this. On 21 April, Malaysian Defense Minister Hishammuddin Hussein witnessed the contract signing between Boustead Naval Shipyard Sdn Bhd (BNSSB) and China Shipbuilding and Offshore International Co. Ltd (CSOC) for the construction of four littoral mission ships (LMS), two in China and two in Malaysia.